You may have noticed a distinct lack of anything interesting lately. Part of that is because, well, I'm sort of tapped out on content-related items. Yes, I know I've got the Part III of "Which Fighter Is Best?" to do, but that will require effort I'm not entirely ready to devote at the moment... but will soon. You see, beginning at 130pm Pond Central Time on Thursday, December 22nd, yours truly will be on vacation for the first time since 2009. I'll be off until January 2nd, and will be able to devote time and effort towards blogcare. Unless I get Skyrim... then all bets are off. Heh. 1 I used to be a blogger, until I took an arrow in the knee. (Sorry, someone had to do it). 2 For the sake of your many fans, please do not get Skyrim (or Star Wars: The Old Republic). Oh no - I just had a terrible thought! Rio Rainbow Gate: The Video Game! 3 It IS based on a pachinko game. 4 Wait...a llama a tapir, two capybaras and nary a duck in sight. What is going on!? 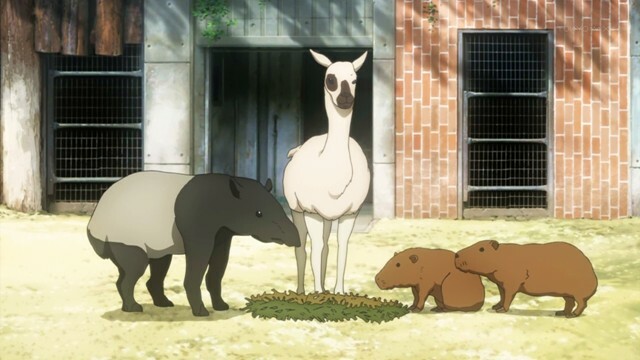 Wait...a llama a tapir, two capybaras and nary a duck in sight. What is going on!? 21kb generated in CPU 0.04, elapsed 0.187 seconds. 47 queries taking 0.1645 seconds, 248 records returned.